SEO Content Machine has always supported multiple language content download and is really the only content generator on the market to do so. As part of on going improvements, the program now ships with stop words filtering for all major 15 languages. 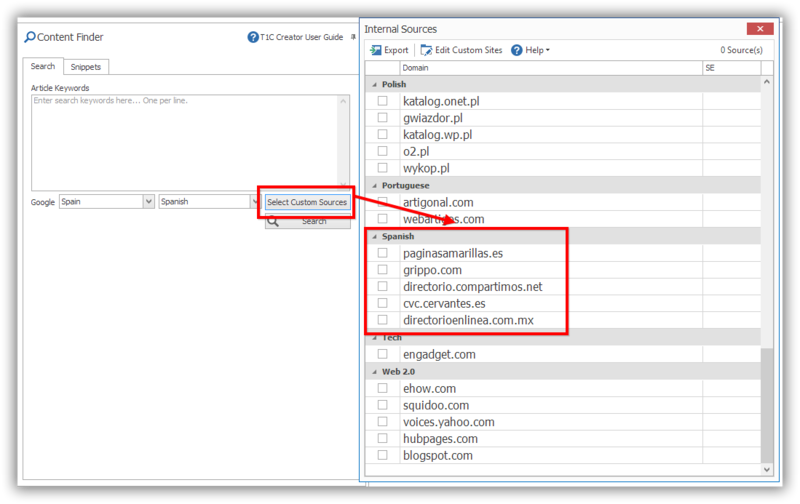 What this means is the content that SCM downloads gets improved content filtering so that you download less junk and find more relevant content for your keyword. 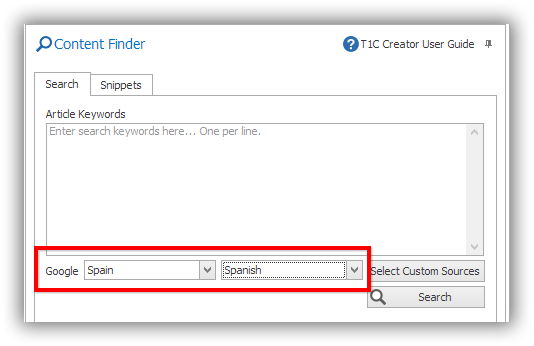 Lets show you how to find non-English content using the T1 Content tool as an example. The article creator would work very similarly. The first step is to select content sources that are in your target language. Lets do a quick example use Spanish as our target language. Google is the best way to find content in any target language. For our example, we set the region to “Spain” and the language to “Spanish”. In addition to using Google to find content, we can add and use custom article sources. 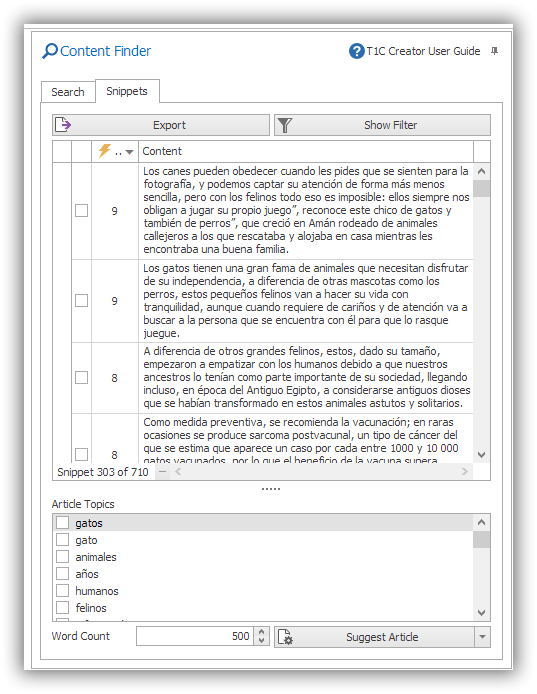 Luckily, SCM comes preloaded with some Spanish article directories. Just click on the checkboxes of the article sites you want to use as content sources. Once your content sources have been selected, the next thing is to verify that content is being found. The best way to do so is to watch the application log entries. The first set of entries in the app log will always show you what page is being retrieved (Google Spain in the image above) and how many links was retrieved. Using Google we found 99 links for “gato” in spanish. The program will visit each link and download the content it finds. The content will then be filtered to ensure it is in the right language and doesn’t contain irrelevant text. In the Content Finder tool we can see the results. The most relevant snippets of text appear at the top. All the important article topics appear below. With stop word filtering in place, the article topics are much more relevant and informative. Eg “gato” was our keyword but we can see that it also picked up on “gatos” “animales” “felinos”. If you didn’t know, “gatos” means “cat” in Spanish. I can look into adding this for you! Added in newest version of scmv4, support for Indonesian language stopwords.